At time of great political, environmental and social turmoil throughout the planet we look to simple things to guide us. 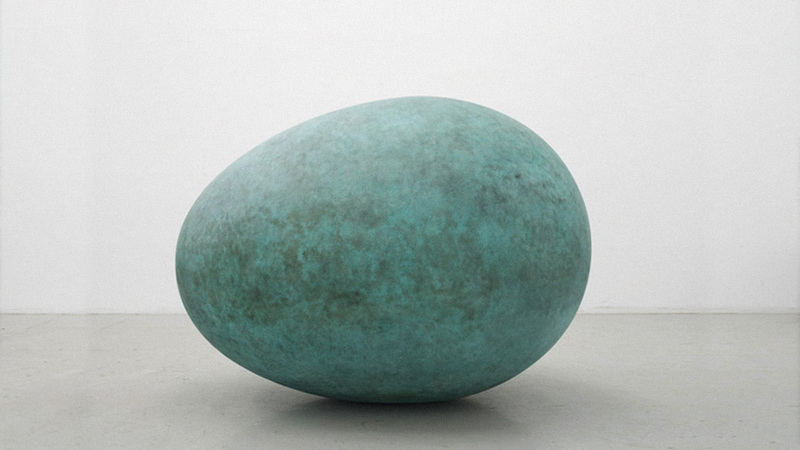 With a life time interest in the surreal egg form, Gavin Turk is presenting his giant bronze Oeuvre (Verdigris) at Somerset House this Spring on the River Walk. In association with Photo London he is simultaneously inviting the global art community to upload and contribute their own ‘portrait of an egg’ to be exhibited at the fair. With spooky synchronicity this years social media phenomena has been ’The World Record Egg’ so this ambitious art collaboration is opening up ideas around social media, memes and the global obsession with recording the world photographically through our cyborg phones. The project will be launched on thursday 28th of February with guest curators and a global campaign. Sign up to the Photo London newsletter, delivering the latest Fair news and exclusive subscriber offers.